Last month I shared some of my favourite budget skincare picks (see here), a post which seemed to go down really well with those of you hunting down the perfect effective skincare products on a budget. I thought I'd share some more of my favourite budget skincare finds, covering cleansing, toning and exfoliating. 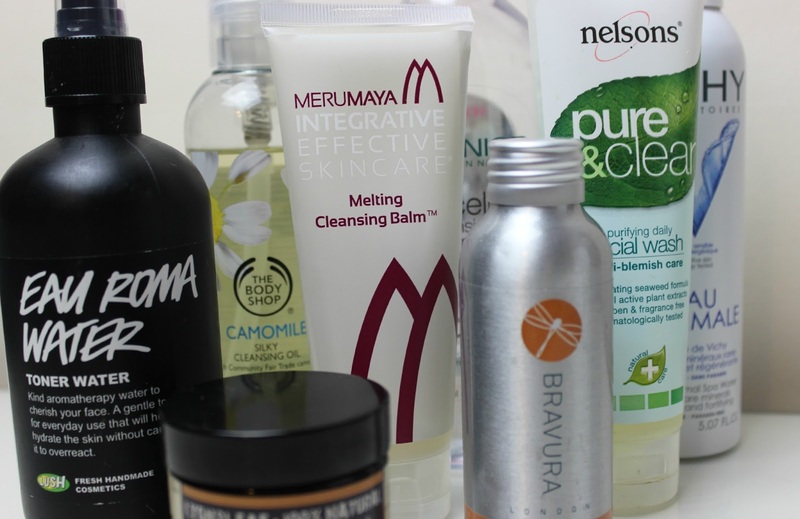 Here's some more of my go-to budget skincare picks! Although I have quite a few high-end cleansers in my skincare stash, cleansers are one area of skincare I think the high-street does really well, with some great options out there covering a huge variety of formula's and needs. If you're looking for an alternative to the coveted Bioderma Sebium H20 Micelle Solution, which is a great cleansing water but unless you live in London, pretty darn hard to find on the high-street, then the Garnier Micellar Cleansing Water, 400ml £4.99, is a great alternative. Currently on offer for just £3.33, it's an effective and gentle cleansing water which is fantastic as the first step in your cleansing routine to remove makeup. It has a soothing formula which doesn't irritate skin, and a 400ml bottle lasts forever! You can check out my full review here. Cleansing balms and oils are one of my favourite ways to remove makeup, as they easily melt away every last trace leaving skin clean and clear. If you want to try a cleansing balm but don't like the idea of firmer balms which take a bit more effort to massage in, then the Merumaya Melting Cleansing Balm, 100ml £15.50. is the answer to your cleansing balm prayers! With a silky consistency that melts once massaged into your skin, it has a gorgeous formula including Sweet Almond Oil, Echium Seed Oil and Mangosteen Extract alongside Merumaya's Signature Essence Blend, creating a magical balm with a beautiful scent. This stuff melts away makeup in an instant! 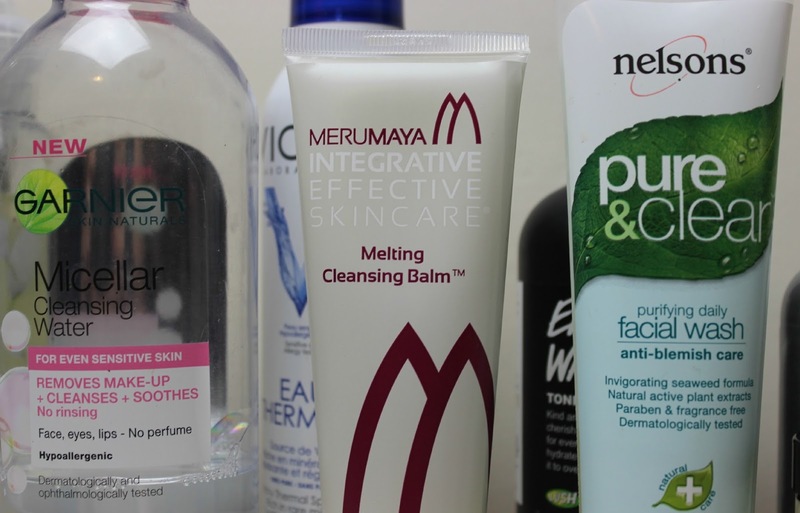 Featured in my Skincare Favourites of 2014, you can check out my full review of the Melting Cleansing Balm here. A slightly firmer balm in consistency but one which melts into the skin just as well as Merumaya's offering comes from 100% natural skincare brand Lyonsleaf, whose products are specifically designed to be perfect for nourishing and repairing skin. 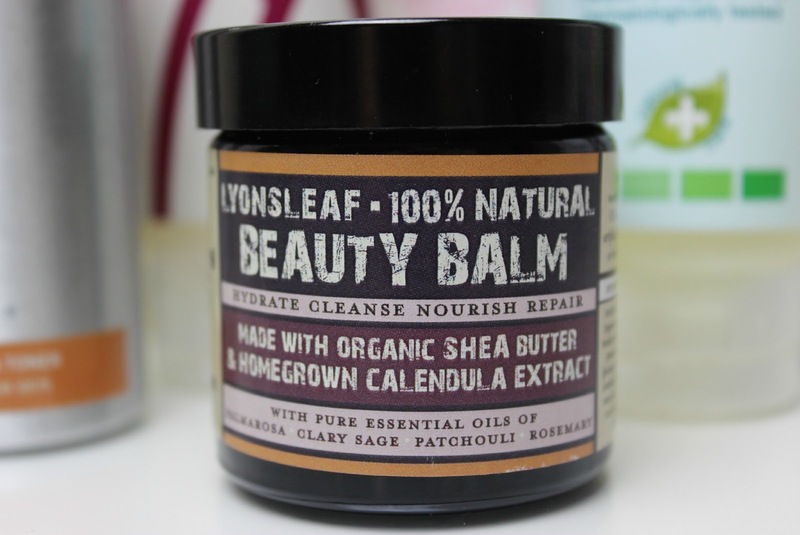 The Lyonsleaf Natural Beauty Balm, 55ml £12.95, is one of my favourite cleansing balms ever. With a hard-working formula that includes natural oils of Shea Butter, Babassu Oil, Macadamia Nut, Jojoba and Calendula, it's a water-free balm which cleanses skin with ease, whilst working to soften and repair. Beautiful. You can check out my full review, alongside reviews of the Lyonsleaf Natural Body Butter and Lyonsleaf Healing Blend Calendula Cream here. I find good cleansing oils hard to find on the high-street, as most are full of ingredients I try to avoid (and ingredients which my skin hates! ), but The Body Shop Camomile Silky Cleansing Oil, 200ml £10, gives my high-end favourites a run for their money. From the same range as my beloved Camomile Sumptuous Cleansing Butter featured in my first Budget Skincare Picks post, it's a beautiful oil that I turn to both day and night. A silky-soft oil which removes makeup, dirt and grime with ease, leaving skin looking and feeling clean, clear and refreshed. A favourite of mine for many years now, whenever I feel like my skin needs a little TLC to keep spots and blemishes at bay, there's nothing I rely on more than the incredibly effective Nelsons Pure & Clear Anti Blemish Facial Wash , 125ml £7.15. Perfect for use both morning and night, it has a natural Seaweed base and works to clear impurities as well as soothing and repairing skin. There is literally nothing which works as well for me at getting rid pesky blemishes, than this facial wash! Plus, it leaves my skin looking incredibly clear and healthy. All round winner! In my first Budget Skincare Picks post I shared my love for Lush toners - particularly the Breath of Fresh Air Toner which I have been using since my mid-teens. Another toner I adore from Lush, and one which is currently part of both my morning and evening skincare routine, is the Lush Eau Roma Water Toner Water, 100g £4.25 - 250g £7.95. A light and refreshing toner that's perfect for even the most sensitive of skin types, it utilises Rose Water which works to calm and reduce redness, whilst Lavender Water balances and softens skin. Soothing, hydrating and super-kind to skin, it's a definite must-have for me in the winter months. A product which gets a lot more use in the warmer months of spring and summer, is the Vichy Eau Thermale Spa Water Spray, 150ml £5.95. A water spray with a super fine mist that can be used morning or night as a toner, or as I like to use it - throughout the day as a refreshing facial mist, it has a formula rich in 15 rare Mineral Salts and Oligo-Elements, working together to de-congest, relieve redness, soothe sensitive skin and reinforce the important natural protection of our skin. Pop it in the fridge overnight and it's a complete life-saver on a hot summers day! Last but not least another toner - but one which works to exfoliate the skin as well as tone - I am besotted with the Bravura Purifying Calendula Toner 13% AHA, 100ml £8.39. Just one of many budget-friendly toners available from Bravura, it's become one of my favourite exfoliating toners ever, which instantaneously makes my skin look and feel so much better; clear, brighter, softer to the touch. An acid toner, it has a soothing and calming scent of Calendula - the main star ingredient in this toner which is an effective facial astringent that works to normalise our skins PH level whilst simultaneously fighting bacteria, tackling breakouts and repairing oily skin. The best acid toner for it's price, by far! You can check out my full review here. What are your favourite budget skincare picks? I think I saw the Garnier micellar water on offer in Tesco, so I may have to pick it up as I've been melanin to try it for a good while! 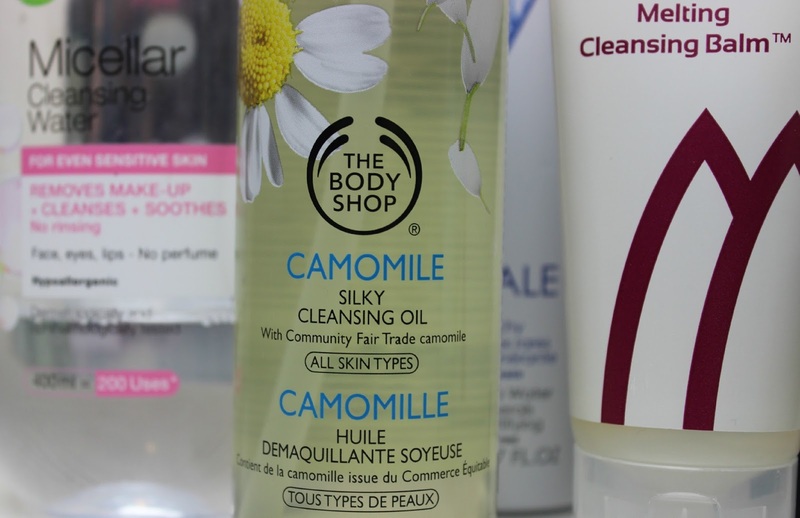 I recently picked up the Camomille Cleansing Butter from TBS which is lovely. These all sound like lovely skincare picks and they all sound intriguing and really good. I really like the Una Brennan, Superfaciallist VitC + Cleansing oil. Beautiful citrus smells and removes make up easily, although there is no pump it doesn't just pour out, you have to gently squeeze the bottle. It's 10.99 for a good sized bottle in Boots. I also really like Superdrugs Vit E creamy hot cloth cleanser, though I use a proper flannel for a good warm removal tool. I love the garnier Micellar water! I've just cracked my skincare but I feel like my skin is getting a little bit oily as the day goes on ( I blame the weather and the fact I'm getting older) should I change the serum I am using or should I try a setting spray ect on my makeup? The Body Shop is always my go to place when I need a skincare pick me up! 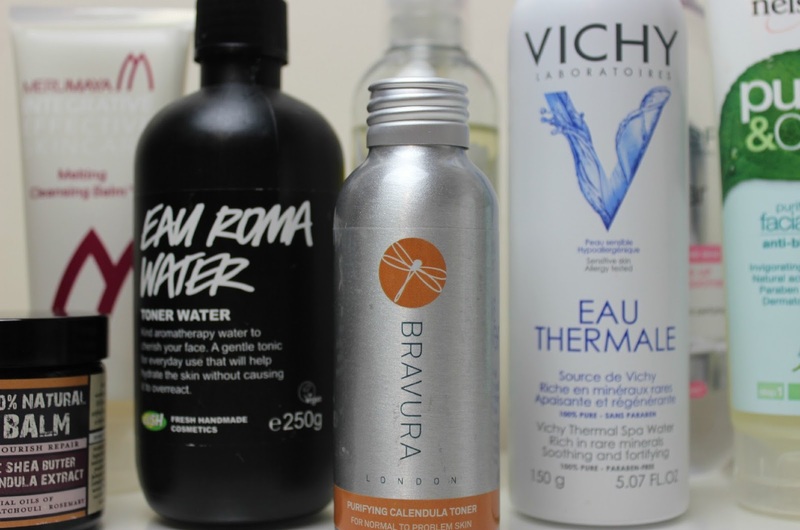 i absolutely love the eau roma water, it's my favourite toner and i've gone through three bottles.